Our website has moved! Click the photo below to be redirected to our new home. below to be redirected to our new home. We all want things to be simpler, right? Our new product branding categorizes the coffee in such a way to make your choice simpler. Instead of being overwhelmed by lots of different flavor notes that you may or may not even care about tasting, we want you to be able to connect with the general direction the flavor is heading in. Simply put, we are not in it for the money. This is not a business, per se, but rather, something that we truly enjoy. It means we have the opportunity to make improvements simply because we want to, instead of having to worry about the "bottom line." All of the money that is not given away goes right back into the operation. We love everything about coffee. 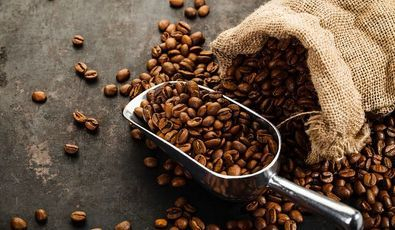 Sure, the main point of this is the roasting process, but we also enjoy learning more about it because, well, we're nerds who find it interesting! We like to make coffee in as many different ways, whether it is any assortment of espresso drinks, French Press, Chemex, or our personal favorite, the AeroPress. To tie it all together, we look forward to the end of the day where we can unwind with friends around super yummy coffee and good conversation. "Passionate about the Good News of Jesus"
Of highest priority is our passion about how Jesus' life, death and resurrection can be good news to any person in any situation they may find themselves in. 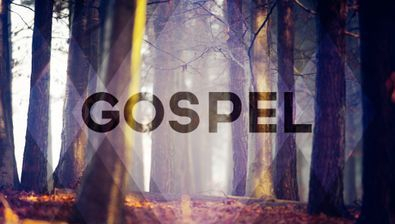 Regardless of where you stand in regard to Christianity, the gospel is a message of true and lasting hope that can (and does!) reorient your life for the better. It breathes life into you and reveals the truth about your identity and the One who relentlessly loves you. Sturd Nerd Coffee Roasting is committed to supporting this cause, and designates a percentage of each sale to someone or something that shares this passion. If for any reason the the roastery ceases to exist, all funds in the operation would be donated to a church that is passionate about discipling people in light of the gospel. Do you have an event to host and need an idea for the guest favors? Why not give your guests some deliciously fresh coffee? Click the photo to the left to fill out a brief questionnaire, and we'll be in touch with you to help you get the ball rolling. Please note that lead times may vary, depending on what options you'd like. So let us know what you're looking for as soon as possible, and let it be on our "To-Do" list instead of yours.